Living life without the damages of alcohol can often feel easier said than done. Taking time off of alcohol and reducing your intake can drastically improve your quality of life, health, and can even save you money. Limiting your alcohol use may feel challenging at first if you regularly use it to wind down or enhance your social life, but managing your intake can prevent you from addiction and other major diseases. You don’t need to go fully sober (if you don’t want to) to benefit from reduced alcohol intake. Use these 5 simple methods to reduce your alcohol intake and enjoy a life with more health and mental clarity. Alcohol plays a role in many people’s social lives since we use it to celebrate and loosen up with others. Too much dependence on alcohol in your social life can lead to social anxiety when sober or feelings that you are unable to enjoy yourself without the help of alcohol. 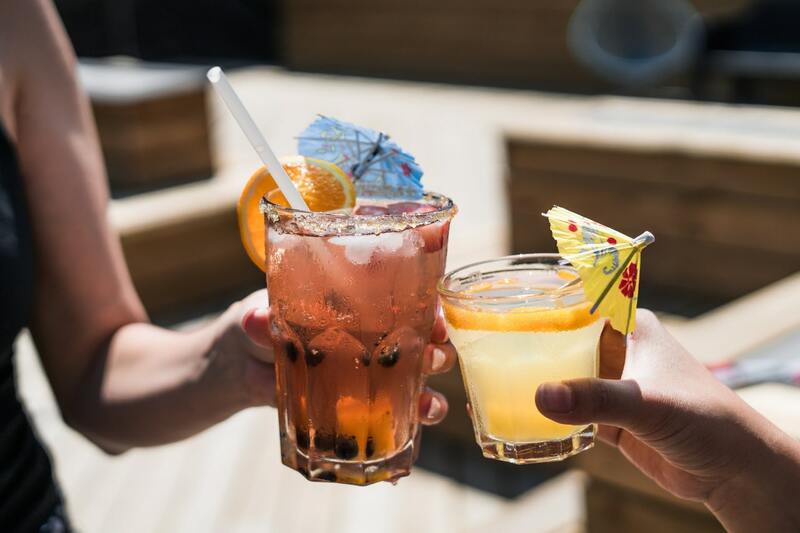 Since these thought patterns build into addiction, taking time away from alcohol can reinforce your social skills and ability to have sober fun with others. Your friends and family may also appreciate the extra effort you put into spending quality time with them without the effects of alcohol. Another easy way to reduce your alcohol intake is to discover new ways to celebrate or reward yourself. People often think of popping champagne or toasting with alcohol to celebrate accomplishments, but there are other ways to honor big life events. Creating new traditions with loved ones is just as effective if you are taking the time to enjoy yourselves mindfully. You may experience benefits such as waking up the next day feeling energized or having a more wholesome time remembering your celebrations if alcohol is not involved. Learning healthy ways to wind down will naturally decrease your alcohol use. Rather than using a cocktail or a glass of wine to relax after a long day, explore options such as rest or reading to recharge your energy. Winding down with alcohol can often lead to negative consequences such as impaired sleep or hangovers. Using alcohol to relax can also promote addictive behaviors where you actually depend on it to lower your energy. Finding sober alternatives to begin your evening routine allows you the freedom to enjoy a higher quality sleep and wake up feeling fully refreshed. Building healthy habits is a powerful method to “crowd out” unhealthy tendencies that cause you to drink more alcohol. Alcohol is sometimes used as a “filler” habit, meaning a healthier one does not exist to make us feel better or more excited. When your routine consists of easy healthy habits you are excited to follow through with, you spend less time relying on and thinking about alcohol. The intention of treating your body well can also make it easier to reduce your alcohol intake. When your “default” mindset is to make healthy choices, you are less likely to damage your health with alcohol. The most important method to reduce your alcohol intake is to ask for professional help if you need it. Alcohol is likely to lead to addiction and you are not alone if you struggle to reduce your intake due to its addictive qualities. Luckily, there are plenty of resources available to support you in finding healthier habits and ending your reliance on alcohol. Rehabilitation treatments and licensed psychologist are smart choices if you know your dependence on alcohol has reached a dangerous level. With the right support, you can recover and create the habits you need to move on without needing alcohol. Regardless of whether you are simply looking to reduce your alcohol intake or need serious help in ending your dependence, there are options available for you to move forward. Living a life with less alcohol consumption can reward you with improved mental and physical health. You can feel confident in the resources available and your own motivations to feel your best. Be open to changing your habits and use these easy ideas to take action towards a happy, sober lifestyle. Patrick Bailey is a professional writer mainly in the fields of mental health, addiction, and living in recovery. 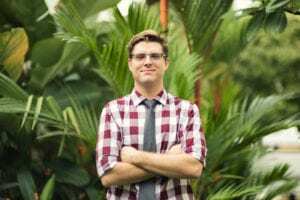 He attempts to stay on top of the latest news in the addiction and the mental health world and enjoy writing about these topics to break the stigma associated with them. Opioid Addiction Services: Are we Helping or Enabling? I am a professional writer mainly in the fields of mental health, addiction, and living in recovery. I attempt to stay on top of the latest news in the addiction and the mental health world and enjoy writing about these topics to break the stigma associated with them.